Have I mentioned my love for all things Jane Austen? Well, the Brontë sisters are not far behind in my affection. 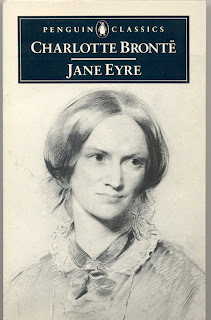 One of my favorite novels and literary heroines is Jane Eyre. Set in early nineteenth-century England, it tracks the journey of an orphaned young woman who becomes the governess at Thornfield Hall, an estate owned by the mysterious Mr. Rochester. I think it sets itself apart by featuring a female protagonist who is thoughtful and articulate and sees herself as more than a societal pawn. Jane balances a deep trust in God with a remarkable self-reliance. Best part? She's not waiting to be rescued. Bestest part? Since it's a "classic," it's free on all major e-readers. There have been 12 English film and TV adaptations of Jane Eyre since 1934. Having seen 8 of them, I think the one released this year is by far the best. Visually stunning direction by Cary Fukunaga and the perfect casting of Mia Wasikowska and Michael Fassbender. FASSBENDERFANFOREVER. I'm not the only who fancied it - the Rotten Tomatoes rating is 83%. DVD releases August 16. You can also rent it online at Amazon and iTunes. It pays to have fans who will show the love! Winner Kristieckm wrote "I am all for my friend Katie Green www.katieagreen.blogspot.com"
Congrats Katie! 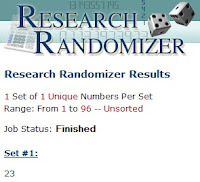 Email me at jamiesrabbits@gmail.com to collect your prize!